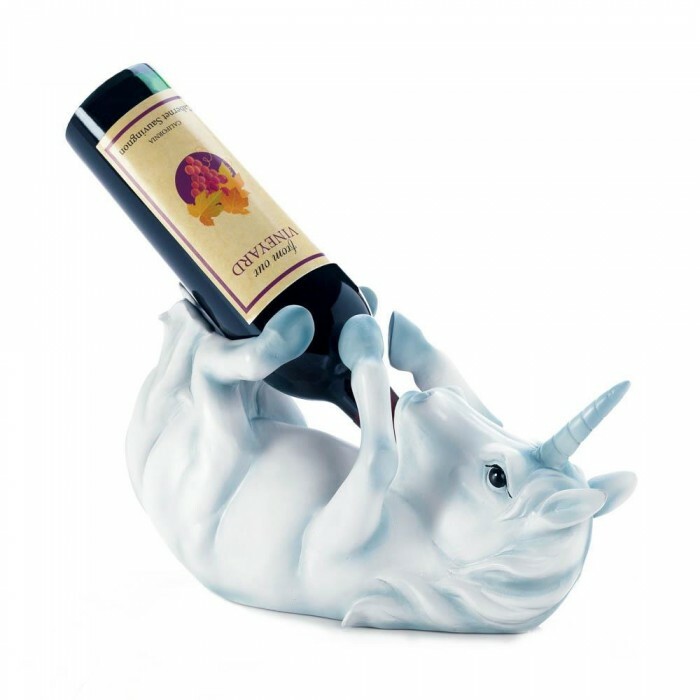 This bottle holder looks like a pure white unicorn laying on its back and holds a standard-size bottle of wine. So if you love unicorns you'll love having this mythical creature hold your next bottle for you. Polyresin. 13" x 6" x 7"